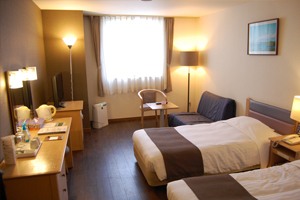 We have both Western and Japanese style rooms available. Whichever style you choose, we promise a pleasant stay. Main Building - Western Style Rooms (With Attached Bath and Toilet)Cityside rooms offer a magnificent view of the entire Furano valley area, including the nighttime view of Furano City, and the morning sun rising over the Taisetsuzan mountain range. Mountainside rooms offer a panoramic view of the ski hill, just across the street. We take great pride in our cuisine, prepared with the freshest local ingredients. The chef's signature dishes range from authentic French cuisine to traditional Japanese course dining, using northern Japan's freshest seafood. 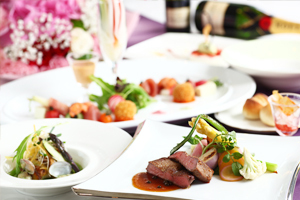 A variety of beverage options range from soft drinks to Furano Wine and our own hotel original wine. Our hotel is fully equipped and offers a complete range of guest services. We sell a variety of goods featuring the owl, our hotel's symbol. We also carry a selection of snacks and souvenirs, including a few hard-to-find items such as Hokkaido limited edition goods. 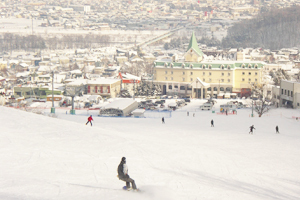 With the ski hill just before your eyes, our hotel offers an excellent position for skiers. 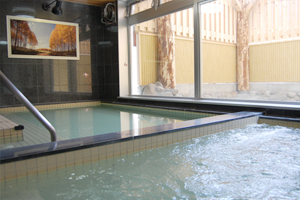 To further add convenience, we also provide a ski rental service in the hotel. No need to carry bulky ski gear on your vacation. Early booking discounts are available. *We also take bookings for other outdoor activities and classes. Our location offers panoramic views of the ski hill, just across the street. * The above times are approximate. Actual travel time will vary depending on season and traffic conditions.